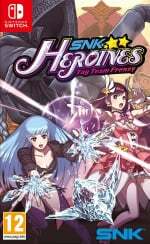 SNK Heroines: Tag Team Frenzy (NIS America, Fri 7th September, $49.99) Play online or with friends as SNK's iconic heroines in the brand-new 2 vs 2 fighting game, SNK HEROINES Tag Team Frenzy! Activate Special Moves with a single button, and make use of special items to change the tide of battle! However, the fight isn't over the moment you've chipped enough health away. Once your opponent is on the ropes, utilize your Dream Finish technique to win the match! Spectate on other battles online, use your winnings to buy voice clips and accessories in an all-new costume system, and customize your favourite heroine to your heart's content! Read our SNK Heroines: Tag Team Frenzy review. 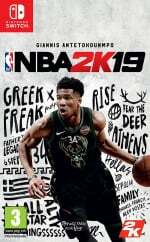 NBA 2K19 (2K Sports, Fri 7th September, $59.99) NBA 2K celebrates 20 years of redefining what sports gaming can be, from best in class graphics & gameplay to groundbreaking game modes and an immersive open-world “Neighborhood. ” NBA 2K19 continues to push limits as it brings gaming one step closer to real-life basketball excitement and culture. 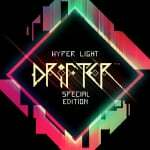 Hyper Light Drifter: Special Edition (Abylight, Today, $19.99) The wait is over, the worldwide acclaimed game Hyper Light Drifter is finally here with this impressive Special Edition! Runs at 60fps, includes new exclusive content and all the previously released remastered for a perfectly immersive gaming experience to play anywhere. 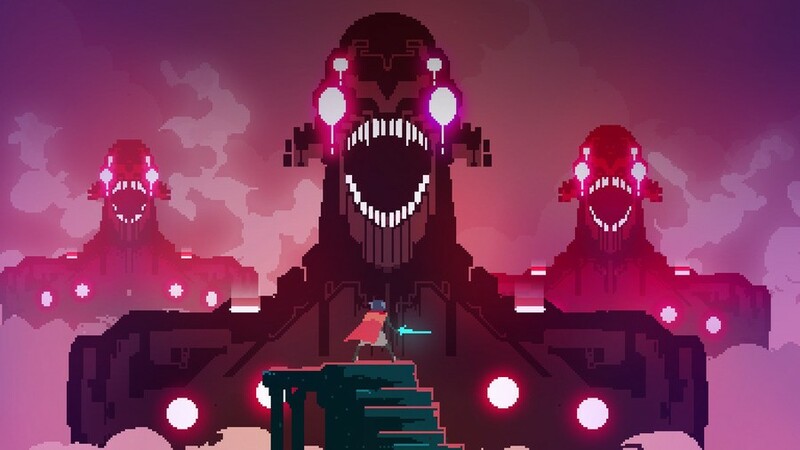 Read our Hyper Light Drifter: Special Edition review. 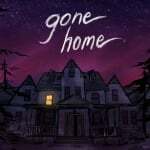 Gone Home (Annapurna Interactive, Today, $14.99) You arrive home after a year abroad. You expect your family to greet you, but the house is empty. Something's not right. Where is everyone? And what's happened here? Unravel the mystery for yourself in Gone Home, a story exploration game from The Fullbright Company. ACA NEOGEO FOOTBALL FRENZY (HAMSTER, Thu 30th August, $7.99) "FOOTBALL FRENZY" is a sports game released by SNK in 1992. Select from one of ten individual teams and compete to win the championship. A variety of formations allows for countless play patterns and extremely realistic games. A two-player versus mode is also available. The "ACA NEOGEO" series has faithfully reproduced many classic NEOGEO masterpieces. 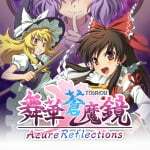 Azure Reflections (Unties, Thu 30th August, $24.99) A side-scrolling bullet hell fangame based on one of the hottest shooting game series to come out of Japan, the Touhou Project! Enemies come at you from all directions with relentless hails of bullets! Fight back with a well-timed Danmaku Rush to tear your way through bullets and enemies alike! 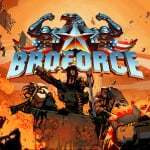 Broforce (Devolver Digital, Today, $14.99) When evil threatens the world, the world calls on Broforce - an under-funded, over-powered paramilitary organization dealing exclusively in excessive force. Brace your loins with up to four players to run ‘n’ gun as dozens of different bros and eliminate the opposing terrorist forces that threaten our way of life. Unleash scores of unique weapons and set off incredible chain reactions of fire, napalm, and limbs in the name of freedom. Chiki-Chiki Boxy Racers (Unties, Thu 30th August, $9.99) Drift like a pro with easy analog stick controls! The intuitive party battle mode offers fun for everyone. Play wherever you are, any time! A mode with separate steering and accelerating/braking controls is also available. Dust: An Elysian Tail (Humble Hearts, Mon 10th September, $14.99) Immerse yourself in a gorgeous hand-painted world on a search for your true identity. As the mysterious warrior, Dust, your action-packed journey will take you from peaceful glades to snowy mountaintops and beyond. FullBlast (Ratalaika Games, Fri 7th September, $5.99) With an art style inspired by the 80’s and the 90’s, FullBlast is a vertical-scrolling shooter that will bring a dose of nostalgia to all gamers who spent many an hour at their local arcade, engaging in Shmups. Gakuen Club (D3Publisher, Thu 30th August, $24.99) "Gakuen Club" is a school life romance game set in a famous private academy. The main cast includes popular voice actors KENN, Kensho Ono, Kohsuke Toriumi, Tsubasa Yonaga, Yuichiro Umehara, and Mark Ishii whose works can be found in many anime shows and games. Grandpa and the Zombies (Tivola, Wed 12th September, $8.99) Grandpa Willy’s brain might not be the freshest anymore, but he’s not ready to surrender it to the zombies anytime soon! If only the brakes would function on his wheelchair. Kentucky Robo Chicken (Solid9, Today, $2.49) Help the Robo Chicken get the stolen light bulbs back! Get to the end of each level in the shortest amount of time possible and try to collect all the Cogs along the way. Beware the hungry Roaches, pesky Flies, shooting cannons and other deadly obstacles. 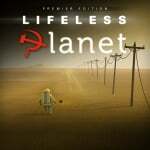 Lifeless Planet: Premiere Edition (Serenity Forge, Today, $19.99) While seeking life on a distant planet, an astronaut discovers an abandoned Russian town. He suspects his mission is a hoax until a mysterious young woman saves him from a strange and deadly phenomenon. Read our Lifeless Planet: Premiere Edition review. Mummy Pinball (EnjoyUp Games, Fri 7th September, $1.99) The most entertaining Pinball is back! Enjoy Mummy Pinball, a perfect reproduction of a real pinball machine, with all the graphic details and sounds. Discover all the secrets, complete all the missions and become number 1 in the world or the best among your Friends, posting your high score on the online leaderboard. 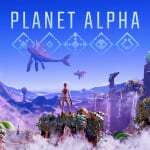 Planet Alpha (Team17, Tue 4th September, $19.99) Pursued by relentless enemies, you must harness the power of night and day as you struggle to survive. Key Features: Marooned upon an alien world. . . You have awoken on a strange alien world. Injured, alone and stranded you venture across this foreign land, navigating beautiful and varied terrain as you try to stay alive. Read our Planet Alpha review. 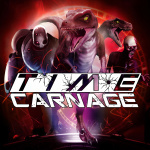 Time Carnage (Wales Interactive Ltd., Wed 12th September, $12.99) Time Carnage is a frantic survival wave shooter with gyro-based motion controls. Featuring single-player or two-player couch co-op gameplay! Travel through time and wreak havoc through worlds swarming with dinosaurs, monsters, robots and zombies. Yo-Kai Watch Blasters: Red Cat Corps & White Dog Squad (Nintendo, Fri 7th September, $39.99) Take down enemy Yo-kai and Big Bosses using skills and Soultimate Moves with up to 3 other friends*. As you tackle missions, befriend new Yo-kai to amplify your team's awesomeness. Read our Yo-Kai Watch Blasters: Red Cat Corps & White Dog Squad review. Breakout Defense (nuGAME, Today, $7.00) Breakout Defense is a breakout game where you will face off against the computer opponent through 20 exciting levels. Do your best to defend your own blocks while at the same time aiming to destroy the blocks of the computer opponent. Double Breakout (nuGAME, Today, $7.00) Double Breakout is a breakout game which combines game mechanics from a traditional breakout game and a pong game. Play against the computer opponent through 20 exciting levels while aiming for a high score. Just Hyper Light Drifter for me. Guess I was the first to vote because Hyper Light Drifter was at 100%! Should be a good game for quick matches between working on the rest of my backlog. Debated physical or digital...settled on physical. Just waiting for Amazon to tell me they shipped it. @Giygas_95 Nope, I voted for it, too! And yeah, same for me. @Vriess It is? Usually stuff that releases on Thursdays goes live at approximately 11 AM central time. Got blade strangers and god wars (and spiderman). So I am good. Will get hyperlight drifter though. This is a strong week for indies, with the likes of Hyper Light Drifter, Dust An Elysian Tale, Gone Home, and I suppose also Broforce. Does anyone else notice that the Switch has been getting a lot of games lately that have been free on PlayStation Plus? Gone Home, Broforce, and Dust for instance this week. I bet a lot of these games are seeing less than stellar Switch sales because of all of us PS gamers who already got their game for free. @Giygas_95 Bigger releases go up a little early sometimes. And first party stuff is generally up at midnight. You’re right though 11 central time is usually when the full store update goes live. Nada. I'm saving my cash for Online Subscription. I'll be wishing and hoping for the best for Japan this week. I liked Gone home quite a bit but I wouldn’t spend more than 5 bucks on it. @imgrowinglegs Gone Home was free on the xbox one like a year ago. My girlfriend was playing it. It looked interesting, but only like, "do I actually want to dedicate any time to this," levels of interesting, not, "here's money," interesting. Nothing this week. Still playing lots of my other games, and waiting for some NES games later this month. As another said that $20 tag on Hyperlight is a turnoff. But for someone who has never played it... that’s not bad considering it is supposed to be the definitive edition. So here’s to $20 combat rolling out of my wallet! Already have Hyper Light Drifter preloaded, as I do with Bastion. I'd also have Dust: An Elysian Tale and Surgeon Simulator preloaded if the option was there.Ninja Commando Neo Geo should also appear today as it's on the European store. "Kentucky Robo Chicken," eh? Why do I feel like this game is going to be an embarrassment to my home state...? @Mando44646 This'll be my third or fourth copy of Drifter and still worth the money I paid. We need the Broforce to fly in and bring disaster relief to Hokkaido. Good grief....Broforce, Dust, HLD, Chiki-Chiki Boxy Racers, and Planet Alpha. My poor wallet. So in the 8 and 16 bit days developers tried not to let you see the pixels and today they try make the pixels as visible as possible. Did NBA 2K19 also push the limits of its save file size? I’ll get HLD eventually but $20 is a bit of a turn off and I’m just too busy and have too much else to play right now. @Megal0maniac I mean, I don’t pay for Plus to get the free indie games. That’s just a bonus perk. And in the end I save more with Plus-exclusive sales than I spend on the annual subscription, so it all evens out in the end. Anyways, I didn’t mean to derail this into PlayStation talk. Oops. Hyper light drifter and Dust: An Elysian tail for me. Will have a lot of fun with them. @Megal0maniac There's nothing yet listed on Nintendo's 'sales & deals' page. I hadn't heard about this, which ACA games are on sale in Europe? Is it all the non-Neo-Geo stuff? Broforce, Planet Alpha, Hyper Life Drifter, Gone Home, Dust: An Elysian Tale and SNK Heroines. @EternalPain NBA 2K19 and SNK Heroines say hi. I kind of want SNK Heroines . Don't judge me... Okay you can judge me, I don't mind. I might wait for it to go on sale though. I think NIS America games go on sale within 2 months. @joedick there's a few Neo Geo games, yeah. Check NL's EU eShop update! @JJ286 yeahh but just two :V, ok ok. Nothing for me on Switch till Xeno2 DLC. After 2 days with DQXI, I am ok with giving my Switch a break for a Month. @Megal0maniac Some of them, yes. I mainly have PS+ for the discounts though. $60 a year saves me well over $150 in discounts. So yes, I’m paying...but then I save far more than I pay AND get free games of vastly varying quality, haha. @Not_Soos Everytime I see that title, I get excited thinking that Kentucky Route Zero is finally out. I don't think I'll be DOWLOADING anything this time, thanks. Really wish Tokai Watch Blasters was on Switch. I’ll get it but don’t know if I’ll ever go back to the 3ds. Definitely my last game for it. Just spotted and bought Monkey King: Master of the Clouds which is a port of the first shoot 'em up I ever loved,the Master System classic Cloud Master. Also just noticed several Neo Geo games on sale with 40% off. That's a first! Finally bought King of the Monsters, a game I've wanted to play for near 30 years. Still waiting on Arcade Archives Vs. Excitebike. I don't know if anyone has mentioned this, but there is a sale on some of the NeoGeo games. Sadly, Metal Slug X isn't included (I've been waiting for a sale on it). Edit: Just realized someone just said this. 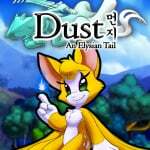 Dust: An Elysian Tail — I'm not sure how this one is not getting much votes, so I look forward to a review. I get Muramasa: The Demon Blade feels from this. Granted, it's thumbnail doesn't do it much justice. Backlogged. FullBlast — Backlog for now. This one talks the game about shmups I used to play but the graphics look toyish to me. Nonetheless I'll await a review. Gone Home — This my speed ALL day, but will backlog it for a sale. If it's point-and-click, looking around, detective, mystery, searching for stuff then I'm all on it. Hyper Light Drifter: Special Edition — Backlogged, but I feel this will get a physical copy, then I'll rent it. I gotta experience this much hyped game myself. Lifeless Planet: Premiere Edition — This didn't review well, but like Gone Home above, this is a game right in my territory and what I also called a "something to do between other games" game. NBA 2K19 — I won't be doing anything with this, but just wanted to comment that it's nice to still see some sports love on the switch. Who knows? Under the right circumstance maybe I would pursue it. Time Carnage looks like a FP arcade shooter like Terminator Salvation or that Pirate game I can never seem to remember the name of . . . but always play with the kids. Guess I have a few more days to gather intel (releases 9/12), but thinking I'm in . . . .
Oh hey, the Switch version of Dust: An Elysian Tail released today. Kind of a crowded week to throw that out on, but beng as old as it is, I doubt it would've gotten much attention either way, being a re-release of a 6 year old indie game. Still nice to see it kicking, though. Went all in on Hyper Light Drifter. I know very little about the story so im excited to tap into it. 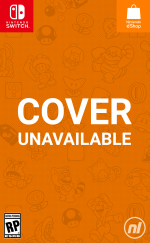 From what I've read it's a 'zelda-like' with some ALTTP In it. Not sure how true that is but since we don't have ALTTP on switch, here we go! Few of these things I already own on other consoles. I'll probably get SNK at some point but for the moment I decided to prioritize Spider-Man. I'm playing Xenoblade Chronicles 2 for the first time, so it has my time wrapped up pretty tight. No games for me this week. If the SNK sale is a real thing, in U.S., I’m picking up Shock Troopers, but my budget mostly goes to Spidey this month. I'm still a little ashamed to admit NBA 2k18 is my most played game on Switch at almost 200 hours, but I'm not ashamed to support the new release day one. 2k19 will be it for me this week. @BH500 Wow that is a lot of hours played. I did not try 2k18 for switch as I though it looked and was l a bad game. The vc, my career, weird animations, can not make layups and overall not that many people playing online turned me off. 2k19 looks better but I would wait till Black Friday where you can get 2k19 for cheaper and see if it is still a good game. @baller98 I played a little online, most of my those hours come from playing local with friends and teammates though. The animations didn't bug me as much as I thought, and they really patched it up well after the awful initial release. @MeloMan I can recommend Broforce, it's really good fun, especially co-op. It's got a bit of Dig Dug about it too with the destructable environments, something I didn't know going in. I was playing 4 player online Co-op last night and I couldn't stop laughing at the chaos on screen. We had one good player (not me) and 3 terrible players but the 3 of us kept killing the good player accidentally Dig Dug style. Man, I wasn't really planning on grabbing Broforce but I took a chance and HOLY CRAP is that game fun! Controls are SUPER tight, it's over the top, but there is also an element of strategy to it....really glad I picked it up, I can see ALOT of hours going down with that one. Also, Hyper Light Drifter is HARD. That game beats the s&%# out of you around almost every turn. "Git gud" time I guess! And finally lol...SO stoked to grab Dust: An Elysian Tale on Monday. I played it on mobile a couple years ago but since I hate playing games on a phone I gave up on it pretty quick. It was a shame, cause I was in love with the game 100% so to have it on my fave console is fan-freaking-tastic! I platinumed Hyper Light Drifter on PS4. One of my favorite games the year it released. I highly recommend it. @OorWullie Whelp, that sold me right there. 4P online? Good. Destructible environments? Good. Hilarity? Good. Looks like me and player 2 gonna have a ball with this one lol. Do you know if it's staggered multiplayer, like 2 people play locally and team up with 2 people online? Hyper Light Drifter Allllll Weekend Baby! Dust: An Elysian Tail is absolute perfection.